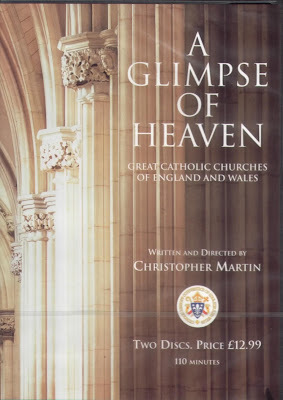 Now there is a companion DVD, which has just arrived in the post and looks excellent, with good photography and commentaries from Christopher Martin and a host of special guests, including the bishop of Brentwood, the Abbot of Douai and Lord Camoys. I think I might show this to a parish group. The double-DVD retails at £12.99 - but there's current a special offer in which you get both the book (worth £25) and DVD for only £25. A good idea for Christmas? Visit the Gracewing webpage and scroll down to A Glimpse of Heaven. "finishes with the new Brentwood Cathedral, which is presented as a return to the past"
To a past in which Wren was building all of those nice Anglican churches? I was very taken with the phrase "greedy architects". Architects, it seems to me, like to plead "We are only following the requirements of our client". When a priest, or a cathedral administrator, or whoever, asks for a church building which resembles a multi storey car park, the architect is surely able to decline the commission. I had not heard of this, being on this side of the pond. I'm assuming Farm Street and Spanish Place, my old parishes in the W1, are in there?